The countdown is on! It's only four weeks until a certain little guy's birthday party. Since we went low-key for Noah's party this year, I had always planned to make a bit more of an effort for Mylo's. I was in two minds as to whether throwing a 'rainbow' party was a bit girly, so I took the liberty of renaming it a Crazy Colour Party. 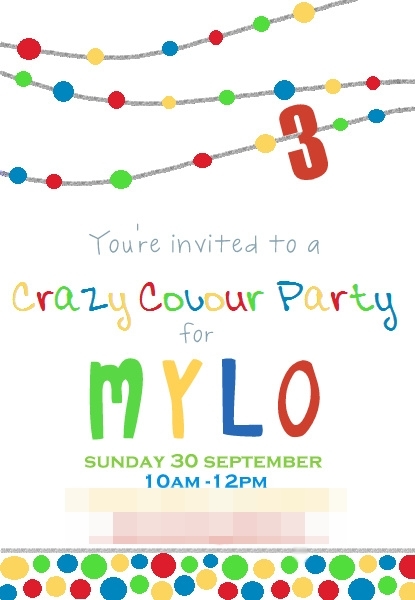 I've got food, drink and games all planned (thanks to Pinterest) and I'm sitting here rubbing my hands with glee at the thought of all the fun we're gonna have making this the most crazy colour party ever. We WERE loving this cool as night light that Noah got for his birthday. For the 10 minutes it worked before the light bulb blew inside it, tripping all the power switches on that side of the house. Oh well it looked cool even if it didn't last! Has anyone used this app yet? It's so cool how you can take a standard picture and turn it into a little comic. This was the picture I sent my brother's partner Alesha for her birthday. I can imagine all KINDS of fun stuff being created with this! 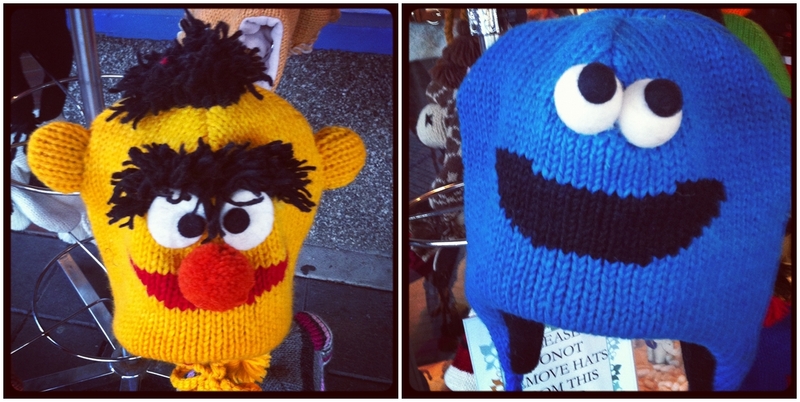 Loved these cool as Sesame Street hats I saw on display outside a shop in Ohakune last weekend. Choice! Loving this gal from Life's Wonderful Happenings, and that she thinks to send my boys some cool-as stuff (there'll be more on that in a post to come). 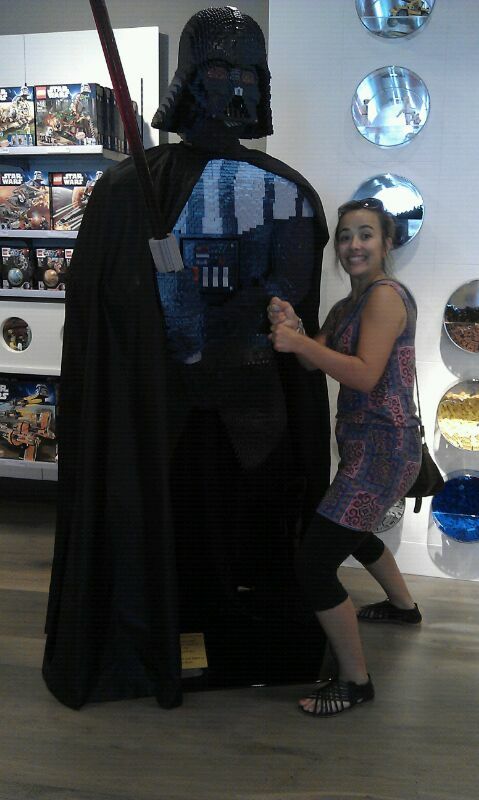 I loved receiving these pxts through of Nikki hamming it up with some life-size LEGO Star Wars dudes. Hello and welcome to The Sisterhood! My name is Sophie and at the beginning of 2012 I was up late one night and came up with this idea, we would be a group of women from all around New Zealand who come together to bless and encourage other women. Much to my surprise, hundreds of you love this idea and wanted to join in too! We send out "LOVE BOMBS" to deserving women all over the country, these women are hard working, dedicated and worth thanking and recognising! They are Mums, business women, students, just like us really. The LOVE BOMBs we send are packages of love, filled with treats, body products, chocolates, vouchers for facials, massages and anything else we can think of that they will love! Everything has been gathered and sent in from ordinary, generous women to bring a smile to someone elses day! 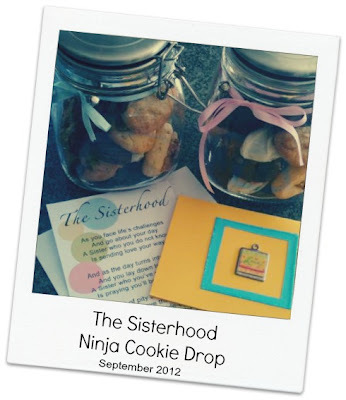 The latest Sisterhood project is a Ninja Cookie Drop scheduled for this weekend. You can either BAKE, or NOMINATE a worthy recipient of some yummy home-made goodness. I've done both, and I'm excited to see where my own baked goodies are going to go, to someone in Wellington that I don't even know, but just knowing they will be blessed by an unexpected surprise. You'd be living under a rock if you've forgotten it's Fathers Day in NZ this weekend....but if you have eek! you might just have enough time to whip to the shops for a card if you hurry!! I got myself into gear and made what I reckon is a sure-fire winner for a Fathers Day card. So if you can keep a secret (and I've instructed Mark NOT to read the blog before Sunday) you can take a wee peek now.... I present to you.....the iDad. Pretty chuffed with our efforts this year if I do say so myself! Sounds like a fun party to be planning! LOVE your iPad card - very clever. I'm excited about the ninja cookie drop too - may the stealth be with you! Mark is a lucky man, that card and book are fabulous! And what creative fun you are up to and planning for the upcoming Birthday boy! Fabulous! Yay for parties and Father's Day! Have fun! I like the colour idea for the party! Cute fathers Day card too! LOVE the card - awesome! And the Colour Party... my poor kids have very boring parties, just not a planner / organiser / baker for that kind of thing ;-)! Hope it goes well! So much creativity! Where do you find time?